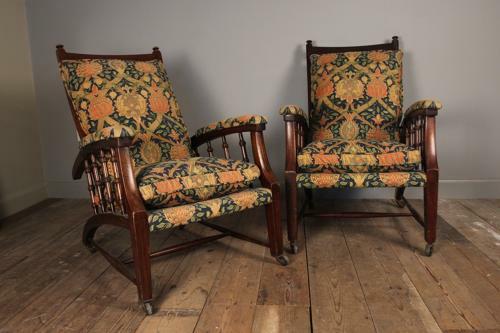 A pair of Morris style reclining armchairs after a Phillip Webb design. These super chairs having great form and proportions, with good adjustment to the back. Retaining the original cushions, not newly upholstered but the fabric is in great condition. English, Circa 1900.